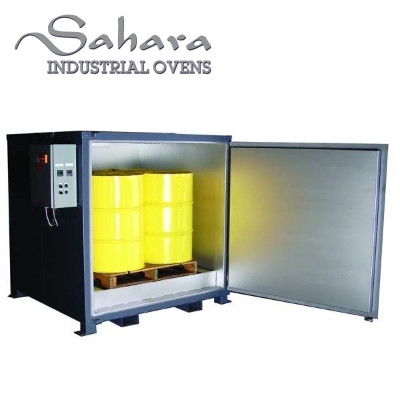 The 'Sahara Hot Box' Model S4 Steam Drum Heater | Made in the USA! Model S4 Steam Drum Heater is Designed to Accommodate 4 (55 gallon) Drums or 1 Standard (275 gallon) Tote. 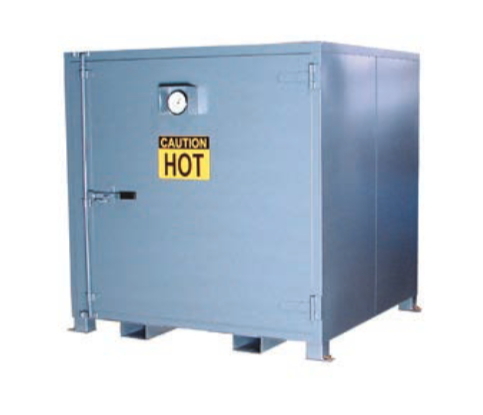 The Benko Products SAHARA HOT BOX is recognized as the industry leader in 55-gallon drum heating equipment. Our Steam Drum Heaters and Drum Ovens are available with state-of-the-art digital controls with independent over-temperature protection. Units in a manifolded arrangement can be individually turned off when not heating, perfect for your drum storage and drum heater needs. 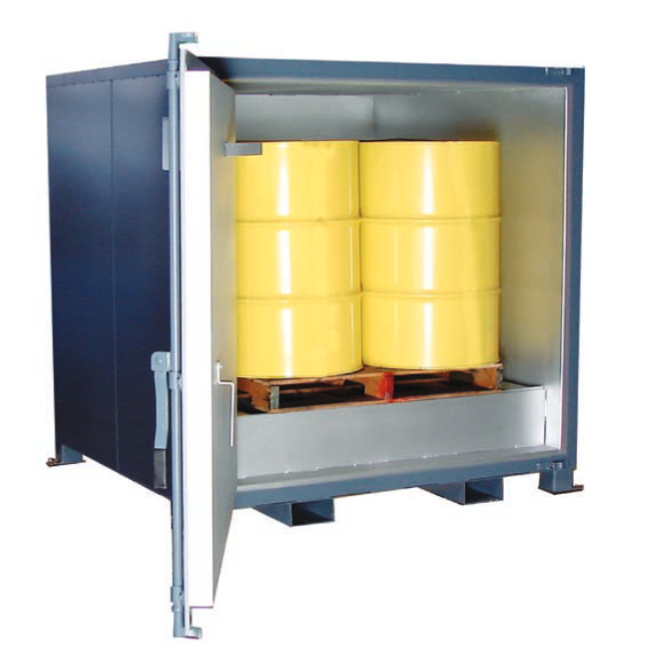 Click here to see our Drum Heater FAQ page. 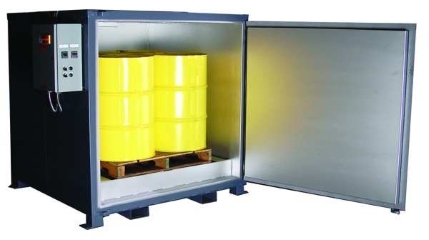 saturated steam up to 200 psig. • Exterior finished with acrylic enamel. • Interior finished with heat resistant silver.